Here’s the thing. I hardly ever eat corn that’s any good. Growing up I would eat the corn that my Dad had picked that day from the field behind our house and there is no better corn than that. 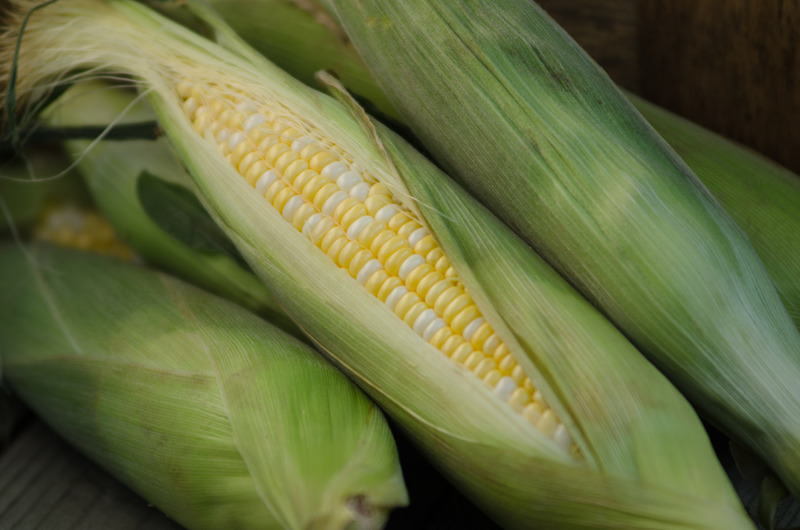 Now I rarely have fresh corn but savor those times when I find a farmer by the side of the road or at the farmer’s market selling a load of picked-this-morning ears. All that is to say I have a very emotional connection with corn. LOL if you will, but it’s true. It was a no-brainer to choose this vegetable (grain?) for my first product lighting assignment. The project was to photograph something in available light, AKA sunlight/daylight/shade/overcast/downpour. I photographed corn in all of those situations, and it definitely taught me that being at the mercy of Mother Nature when lighting a product has it’s challenges. There were a million outtakes from this project that were awful, and even the one above was awful before I adjusted the color temperature. But I am learning, and that is what matters.